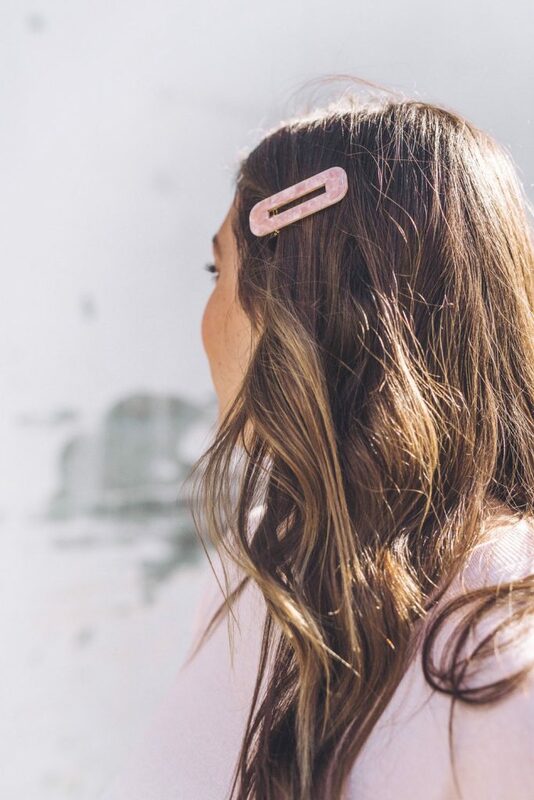 It probably only takes one quick scroll through Instagram these days to realize that retro, oversized hair clips are trending in a big way. 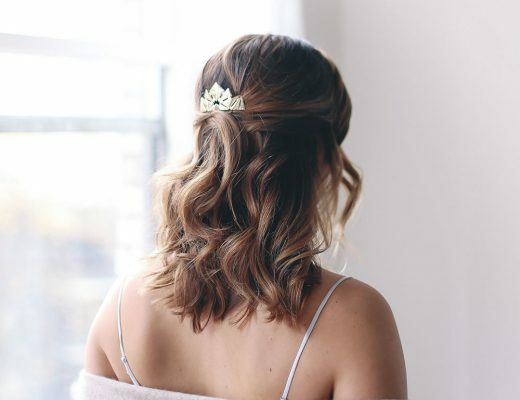 I, for one, am so thrilled to finally find a hair accessory that is so easy and effortless to use – even a hair styling novice like me can easily try a ton of different styles! 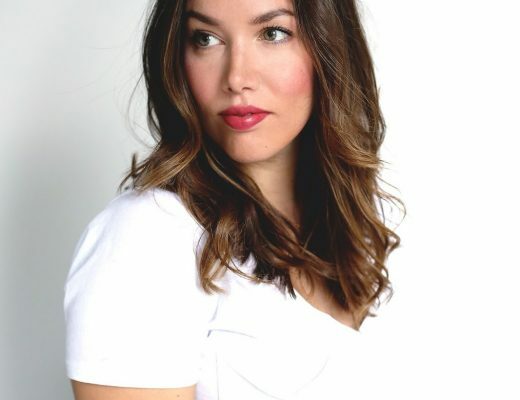 I recently got a hair refresh with my hair guru Chris Weber (who you can find at his salon Vanilla Loft, the top salon in town and one of the only places you can shop Oribe in person in the city PS!) and he gave me this gorgeous “brown sugar” colour that looks so pretty when worn in beachy waves and styled with these clips to highlight the gorgeous colour placement he created! I’m breaking down 6 of my fave (and easiest) ways to get the clip look in the video below – give it a watch and then read on to get more hair deets! As I mentioned above, one of the reasons I love these clips is that they’re so easy to use, and often negate the need for elastics. 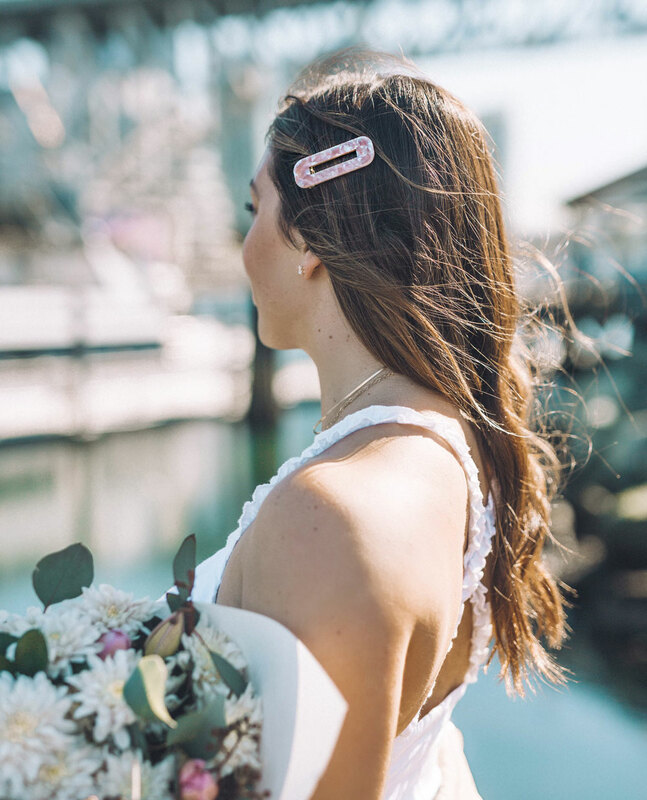 You literally either press down clip-style or just slide them in barette-style and you’re set! While mine were all super simple styles here and the clips were used to actually hold up and keep the hair in place, you can even use some for aesthetics alone, for instance to highlight braids like Chris did on the lovely Cara Jourdan here. Another reason I’m obsessed with clips is that they seriously elevate any look you have on, like this cute white dress I can’t wait to keep wearing for summer from Lost in Lunar – I’m not one for looks that are too twee but I feel like something about the clips (particularly ones that are really polished and chic) really refines a look instead of making it too cutesy. They’re also so much easier to add in than a lot of finicky hair bling, flowers, etc. 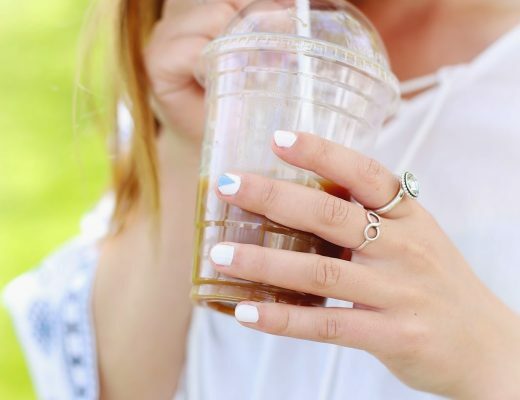 Finally, I’m obsessed with them because you can have your hair totally au naturel or very lightly styled and still use them and have major style impact. I may have pretty low-key hair (very fine, very straight) but I like how it air dries, and I love that I could literally slide in a clip and feel like I look a bit more “done.” Obviously, it also looks awesome with beachy waves or curls, which are my go-to style. Of course, for me, any style always comes down to health – hair health, skin health, general health, etc. I love Chris for that very reason – he is so hair health focused and builds these gorgeous, to-die-for colours without taking your hair through the trenches. My hair lightens up really easily so he toned it down to this rich brunette and added lots of warmth, with some beachy highlights around my face. As soon as we dried, he immediately dubbed it “brown sugar” and it couldn’t be a better name for this colour! It’s warm (which PS, is really returning this season after years of ashier or cooler tones), it’s rich and it’s got gorgeous inflections throughout. 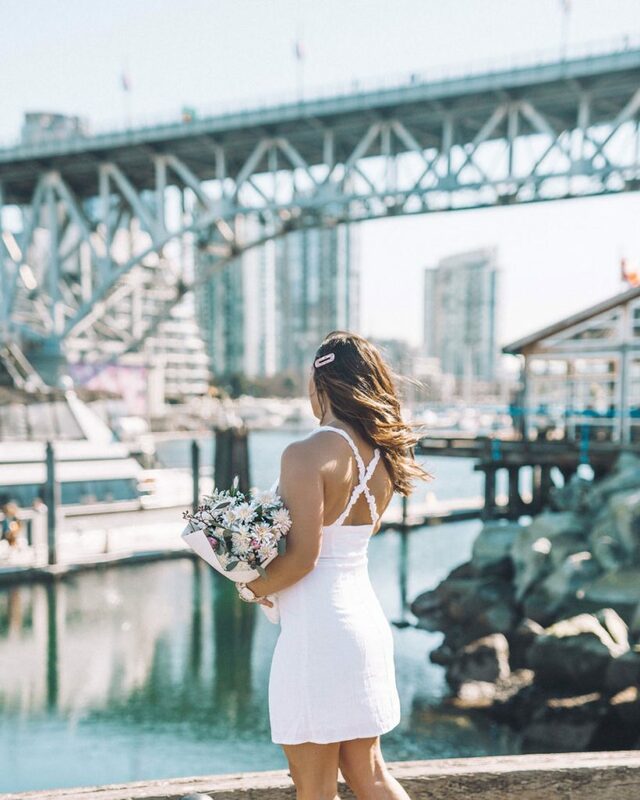 If you’re looking for a stylist in Vancouver, it doesn’t get better than Chris. I was actually in Vanilla Loft yesterday for a beauty feature and so while the lovely Ana was working on my face, Chris had a client whose hair he was working on in the chair next to me and he ended up creating this gorgeous silver colour for her. She was almost in tears afterwards, exclaiming that he just somehow realized her vision without her really fully articulating it! She was literally glowing when she left and it was so lovely to watch it all because usually I’m the one in the chair and not able to watch the master at work on other people! Anyway, having been with him for years now, I can assure you he’s that good. The best part is that all the stylists at Vanilla Loft are trained up by him, so you can expect incredible cuts and colours by anyone there. Book Chris or one of the other lovely stylists at Vanilla Loft here! Finally, details on these clips! 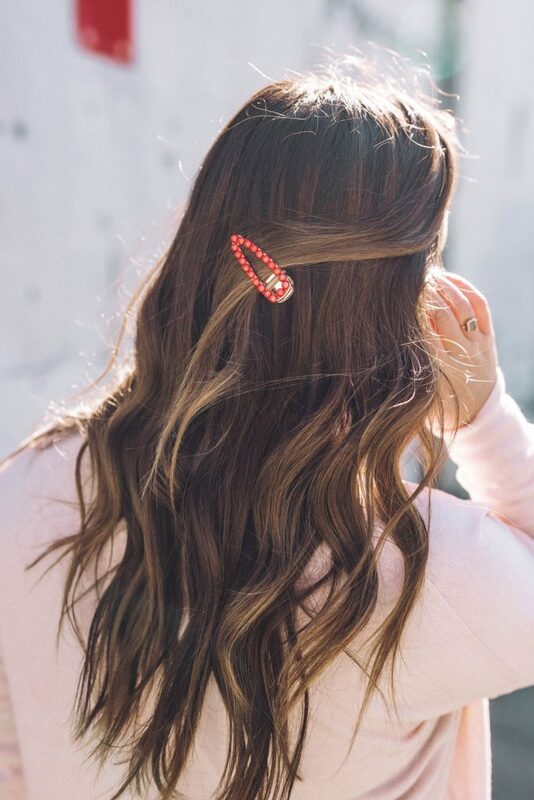 The coral and red clip are from Vancouver label NAMA, created by the gorgeous beauty & hair blogger Alanna of Xander Vintage. I honestly want everything she’s dreamt up for NAMA, everything is so cute! 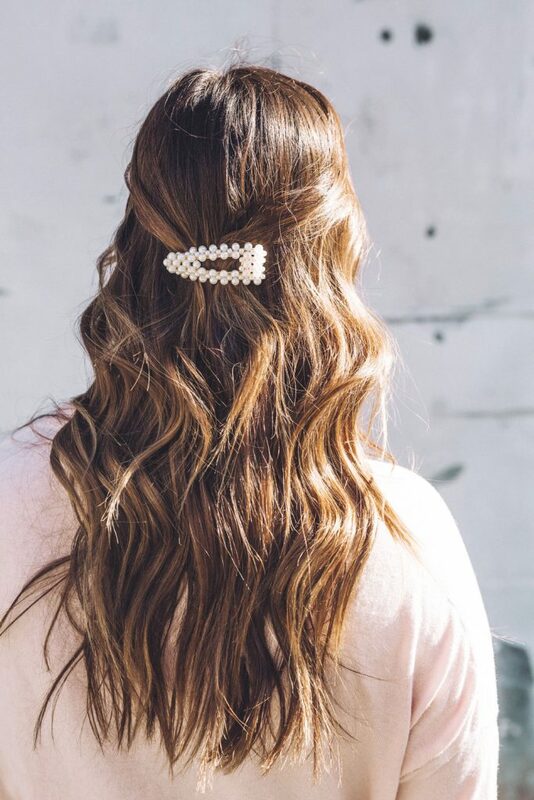 The pearl clips are an Amazon Prime score – $10 for these 2 pearl clips! Hope you guys loved this tutorial and if you ever have any requests for hair or beauty, please feel free to just reach out and I’ll tackle it ASAP!